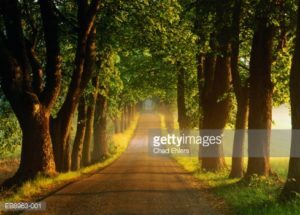 In Appreciation of Early Morning Walks and Fireflies | Robert S. Minch, D.D.S., P.A. June 1st- the beginning of meteorological summer. Yeah, I know, summer actually begins on June 21st with the summer solstice but in weather circles, summer really begins now (along with hurricane season). This is my absolute favorite time of year because the days are at their longest and are not filled with oppressive humidity yet. 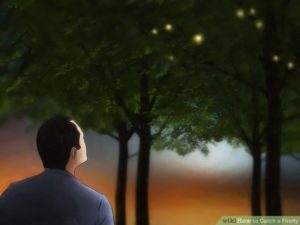 The fireflies begin to let their lights shine as dusk descends right about 8:30 PM. But for me, the best part of this season is in the morning for, you see, I am one of those crazy people who enjoy getting up at 5 AM and walking 2 miles; I enjoy the quiet and the time to prepare for my day- before I get to work to start my day and help people create the smile that they have always wanted. I walk from 5:30 to 6 winter, spring summer and fall, usually in the dark with a flashlight. But for the next 8 weeks, I will be enjoying the sunrise and the chatter of the birds….. I have all of nature to myself as the rest of the world sleeps. It is truly an inspirational time and one that I look forward to every year. I was reminded of this as I spoke with a new patient yesterday. As most of you know who have gone through the new patient appointment, the complete exam includes a thorough evaluation of the muscles, joints, TMJ area, the bite, the gums and of course the teeth, as well as taking digital pictures and reviewing them with you, the new patient. But before that happens, I always begin the appointment by spending 10-15 minutes getting to know you and listening to your dental history. I find that the new patient exam can be much more effective if I have an idea of your concerns, your fears, your medical history and even what brings you joy. Well in any event,yesterday, I was meeting Steve for the first time and in our pre- exam discussion, he told me how he was a retired surgeon- forced to retire, really, because of a life threatening ailment that kept him in the hospital for over 3 months and continues to feel its debilitating effects to this day. It came on him very suddenly before he had any time to plan a graceful exit from his medical practice. More importantly, he was thrust from the 24/7 multitasking crazy life we all lead to sitting with himself quietly for hours on end because he literally couldn’t move. He was given a crash course in living in the moment, occupying himself not with gadgets and stimulation but alone… with his thoughts. The way he put it to me was that he learned how to live a conscious life and appreciate all the wonderful small things (that really aren’t that small) such as the smell of a flower or the sound of music- things we all take for granted most of the time. He said that he had been sleep walking through his life and had now been given the gift of living his life with peace and intention. So I feel an extra sense of gratitude during my morning walks. The trick, as I see it, is to appreciate the small things every day before we are forced to do so once they are taken from us. One of the reasons why I have always enjoyed my dental practice is the joy my patients bring to me. They inspire me and teach me life lessons daily. I commonly say that a day at the office feels like having an open house where your friends stop by, for I have known a lot of these people for over 30 years! So thanks Steve for reminding me of this very important life lesson. Now I hope you will excuse me as I go find a firefly to catch!